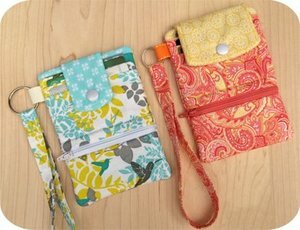 Our Phone Wallets are perfect for times when you don't want to carry a big purse. 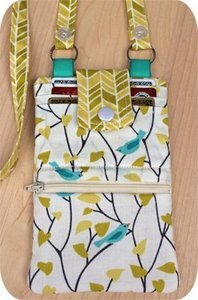 2 sizes of phone wallets are included. 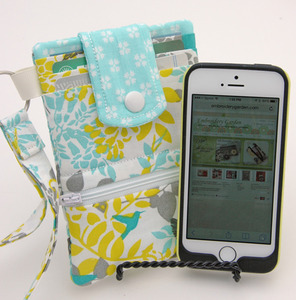 The 'Original' size holds an iPhone 5S in a slim case or otter box and similar sized phones. The 'Taller' size holds phones that are wider and taller. 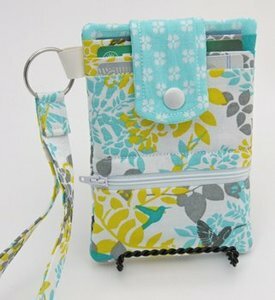 It's impossible for us to test all phones, but most phones will fit in either of the phone wallets in this set. The photo below shows an iPhone 5S in the pocket. 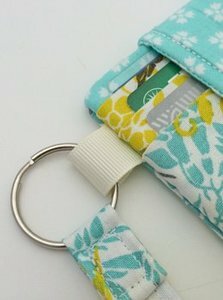 Our Phone Wallets are made in a 5x7 hoop. 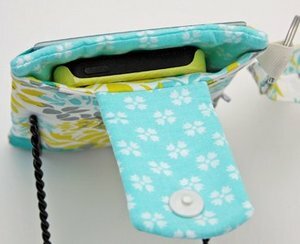 The tab is made first in a 4x4 hoop, then it's machine stitched by a sewing machine to the back pocket pieces. This requires a 5" seam to be sewn. 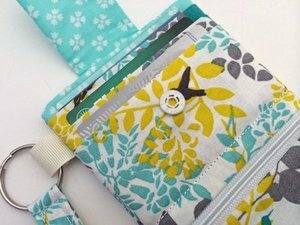 The completed back pocket piece is added to the wallet while it is being stitched in the hoop. 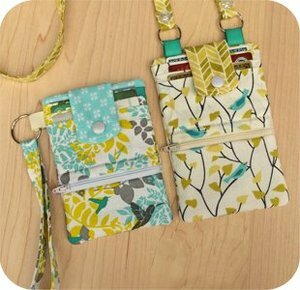 You have the option of making either size with a narrow tab closure or with a wide tab closure and a side loop for a wristlet strap.